Has Google's Nexus 8 been caught floundering around? A mysterious Google device going by the name of 'flounder' has been spotted online – could it be the Nexus 8? Google's a big fan of aquatic wildlife, having used fish names for Nexus devices in the past, meaning there's a good chance we're looking at another one here. The flounder was spotted on Chromium, a Google site used for tracking bugs in the Chrome browser. 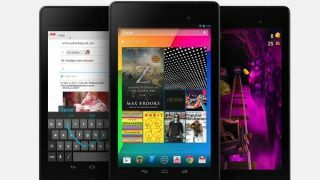 It's plausible that this could be the rumoured 8-inch Nexus tablet , but not the only possibility. We're also anticipating that Google will soon drop the new Nexus 10 - could this be the device mentioned? Reaching into our limited knowledge of aquatic creatures, we can tell you that flounders tend to grow to about 10 to 12 inches, so perhaps that's a clue. Myce, which dug up the listing, noted that the build is new as the 'V' in the build string means it's from Q2 2014, and the 36 signifying the 36th day of that quarter. The sum of all that puts the build date as May 6, 2014. Google I/O is just around the corner - could a June debut be on the cards for the Nexus 8? There's not enough information here to know, but we're crossing our fish fingers. Nexus 7, the 7-inch tablet you need in your life.